There is a moment in poker when the dealer, ready to deal the shuffled cards, surveys the table, recognizes that the players have anted up, and calls, “Pot’s right.” And so, the hand is dealt and another game begins. They can be high stakes poker games, with hopes and dreams resting on who wins and who loses, but that’s not the whole story. Humans are a game playing species. “Pot’s right” can also mean, we’re all here, enjoying each other’s company, playing together. Yet we hold in common a set of experiences fundamental to the human condition as the memorials and celebrations with which we mark our passages from birth to death. Have we not shared the terrible irony of wedding and funeral parties blown up in nations wracked by internecine war? Have we not been relieved when the media told us another story of courage and survival? The experience of arriving at a place which reliably can invoke a sense that the pot is right, at least for that time, resolves the most daunting questions. Yes, there is a thrill when a team we favor wins a hard fought contest – but there are games which do not depend on there being losers; which depend on our ability to create generalizable, sustainable environments. A warm fireplace and family gathered round. Pot’s right. A sunny afternoon on the Davis, California green at the farmer’s market. Healthy food choices. Visiting back and forth and over the years. Pot’s right. The little shops that complement the canals of Amsterdam, enlivened by street performances on the Leidseplein or Vondelpark. The clear, mountain air and beautiful fabrics in the marketplace of Otavalo, Ecuador. Thousands flooding the corridors and sustainable product stands at North America’s Green Festivals. Pot’s right. A hundred dancers snaking across the village center, chanting and singing at a funeral celebration in the town of Palime, Togo. Fifty spirited dancers in a Berber village high in the Rif Mountains. 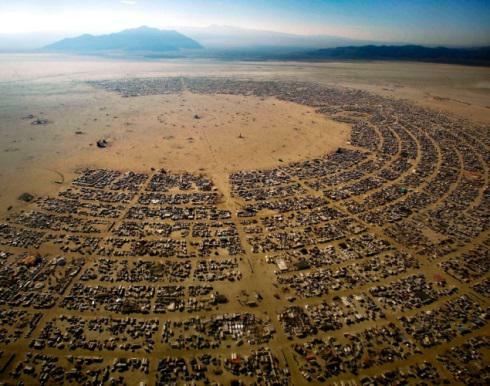 A thousand dancers at Burning Man. Five hundred kids and adults in the dance of community at Dance New England. Pot’s right. Would-be entrepreneurs imbued with social and environments concerns learning and jamming at HUBs around the world. Sophisticated professionals and activists sharing the podium and in the hallways at a CERES Conference. Pot’s right. Potential lovers meet and explore congruence and attraction on the internet. Pot’s right. Traveling easily and consistently on public transport in Curitiba, Brazil. Sharing bike access in New York City. Riding the aerial tram between La Paz and El Alto, Bolivia. Pot’s right. Kids learning fully engaged with their curiosity at a Waldorf School, a charter school, a pre-school, a home school, a university class, an on-line connection. Pot’s right. A community coming together to insure that its aging can remain in their homes and apartments through On Lok and PACE. Pots right. 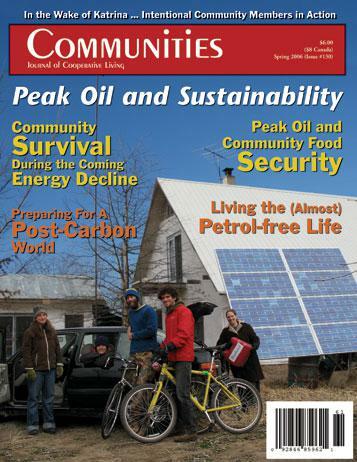 For more than four decades, “Communities” Magazine has presented a mix of intentional, usually non-traditional constructions that range from tested exemplars to humbling failures. Common themes of delight and frustration exemplify these communities. There are continuums between the poles of hierarchy and democracy; open and closed relationships; unbridled freedom of expression and respect for privacy; collective will and individual expression – continuums which are unlikely to ever be definitively resolved. Some of the communities are tiny, some stretch into the hundreds. Almost all mix an idealistic premise with the hard and tangible work of survival, building always towards environments that support good health and a refuge from the perceived contradictions of mainstream society. For the people living in them, there is always the pull and alternative of the “real world”, a divisive intrusion that has challenged even the most successful intentional communities, the Israeli kibbutzim. While these small and usually rural communities bear some similarities to the membership structure of the cooperative movement, they are rarely so efficiently or comprehensively structured. 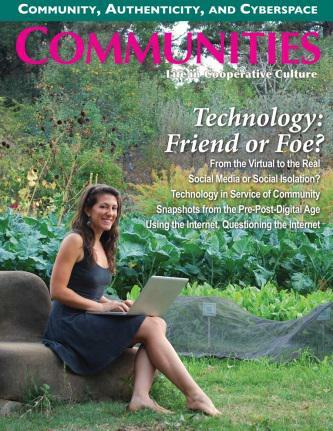 Yet co-ops have the ability to redefine a neighborhood or town, providing the chance for frequent encounters and shared choices that add up to community. At successful food co-ops like Park Slope in Brooklyn and Arcata in Northern California, shopping or volunteer work is a social experience, exchanging pleasantries and local concerns, family news and useful advice. 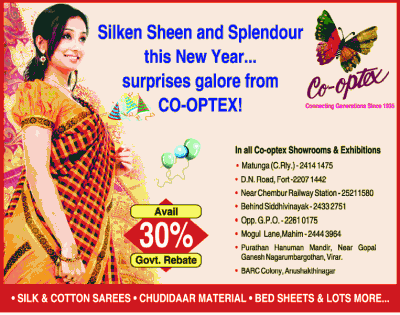 Co-optex, a producer co-op based in Chenai, India, has more than a thousand outlets on the sub-continent for its textiles. For the over one hundred thousand women who are weaver-members, Co-optex changes their relationship to work and its rewards. The largest consumer co-op in the world is Seikatsu, with two million members. Providing a full range of consumer goods, it was organized above all to empower women who were often treated as no more than chattel in the patriarchy of Japanese society. 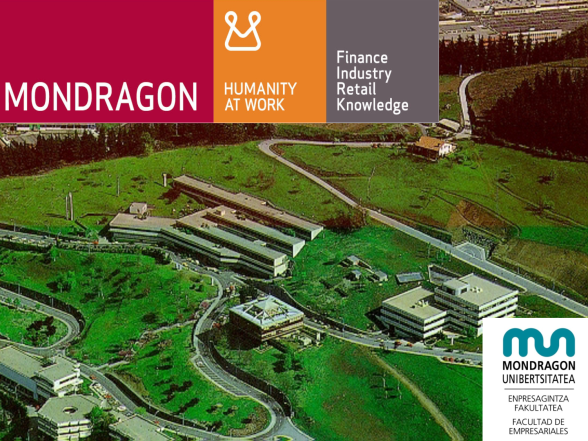 The most comprehensive and successful co-op in the world is Mondragon in the Basque area of Spain. In an area often defined by its violent attempts at self-governance, Mondragon has established itself as a scaled, self-sufficient community that even reaches into the national economy through its banking outlets, and the global marketplace as a manufacturer of large appliances, and ship building. On the campus of Mondragon, there is an educational system from pre-school to university, a hospital and clinics. Economic, educational and healthcare development are part of offering a culturally connected and complete community experience which can stand up to the blandishments and successes of the global marketplace. The intangible that has driven Mondragon is the deep attachment to the Basque ethnicity, harnessed to practical infrastructure which answers most of life’s questions, and having a spiritual, ethical dimension which began with the Priest, Father José María Arizmendiarrieta, who founded the cooperative in the late ‘30s. Replicating an institution which is so reliant and inspired by its deep cultural roots has never succeeded, but it remains as a shining exemplar of a sustainable organization and community. 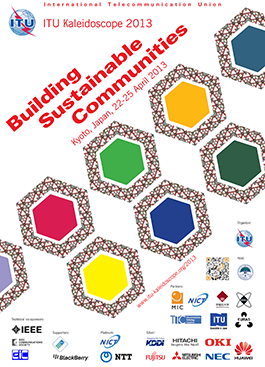 Another kind of sustainable community and culture takes place over a de-limited period of time. Yet for that time, it is the basis for lives to be so completely fulfilled, that it permeates and informs the rest of the year. Rock concerts have evolved into more complete tributes to the human spirit and community experience. 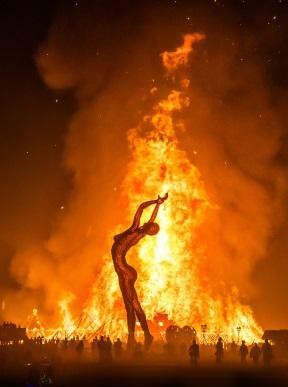 At Burning Man, a week-long celebration in the Nevada desert, sybaritic indulgence mixes music, dancing, love and lust with the creative impulse. For a core of the thousands of attendees, the rest of the year is a warm-up and a cool-down. Bizarre constructions are invented in western workshops, transported to the desert and re-assembled. Giant kitchens turn out confections. Drugs play a role, but there are many unembellished transcendent experiences that go with the territory of all night dancing and all day dreaming. It’s like being part of a very large circus, with a profusion of workshops and entertainments instead of trick animals and high wire acts. 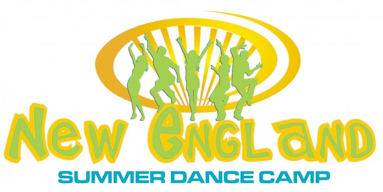 The premiere event of Dance New England is an eleven day summer camp adventure for 600 adults and kids that has been going for 35 years. Every night there is a boogie with hot DJs or live music. During the day, there are workshops featuring dance forms like Contact Improv, African, Salsa, and others about personal growth or group process. Romances have been anointed at DNE’s summer camp, and many of them turned to long-term relationships and marriage. The result is that DNE is well into its 2nd generation of no longer children grown into the community, with a 3rd generation already launched. There is a lively young people’s program, and chores at camp are parsed out as a volunteer activity. 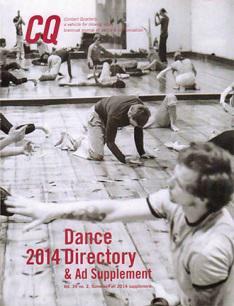 Two of the dance forms presented in jams and workshops at DNE are Contact Improvisation and Biodanza. Besides being an important part of Camp, they extend out to their own national and international participants. With both these dance forms, and many other variations, the emphasis is on sharing weight and leadership, merging with others in community, and exploring self-knowledge. The cost is relatively low, the environment is treated kindly, and people get to see what life can be like, absent mass entertainments and within a sharing economy. Collaborative work spaces have grown apace with the transcendence of laptops and frustration with either the traditional office or isolation at home. The international phenomenon of Impact HUBs, now more than an a decade old, added the component of social entrepreneurship as a screen for participation. Members of local HUBs join because they choose to be around others who balance social and environment concerns with finding the next hot, profitable product or service. There are quiet and noisy spaces, private rooms for small meetings, large open spaces where some are deep into their computers while others are sparking off ideas, and lighting the fires for the next iteration. Hubs are on every continent except Antarctica, but who knows what the penguins are up to? If these trends are evident anywhere, it should be in our educational systems. Sadly, that’s a long way from the case, weighed down by traditions that weren’t so hot one hundred years ago, and even less relevant now. There are, however, classroom and school environments which are exemplars of enthusiasm, efficiency and which inspire learning on every level. At Yale, the Forestry School, under the leadership of Gus Spaeth, was an early adherent for an environmental perspective. 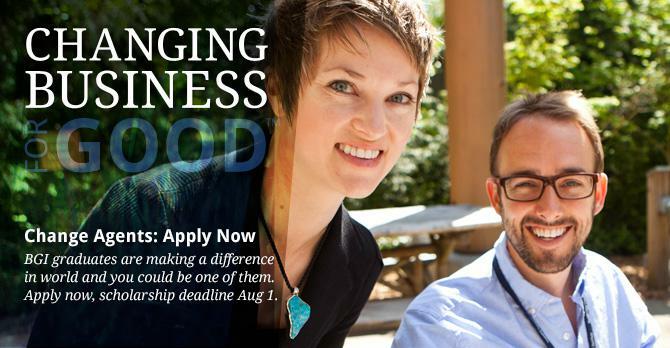 Pinchot University located in Seattle, is a business school that is devoted to the principles of sustainability and positive social impact, as well as turning a profit. Many traditional business schools have shifted their curriculum to include a more nuanced vision of prosperity, and new institutes within universities have embraced social entrepreneurship. The Waldorf Schools, pre-K thru 12th, and Camphill Communities, focused on those with special needs, derived from the ideas of the early 20th century visionary, Rudolf Steiner. Can happiness be quantified, packaged and replicated? 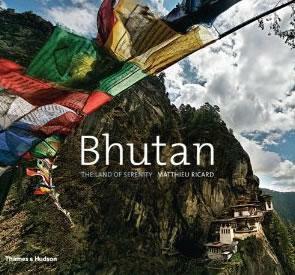 The small nation of Bhutan, nestled in the foot hills of the Himalayas, between India and China, has adopted a Buddhist approach to measuring its success as a nation; namely a happiness index. Lacking the distractions/opportunities provided by the global consumer culture, Bhutan bicycles on its merry way. With a population happy and poor, farming the land with little manufacturing, is there anything to be learned, or would it be lost in translation? Is this the fabled Shangri-La? If Bhutan stands as an exemplar that sustainable community is possible on the scale of a nation, even if it is a very small nation, and operates within the limits of a pre-industrial economy, is there any relevance to the complexities and scale of globalization? 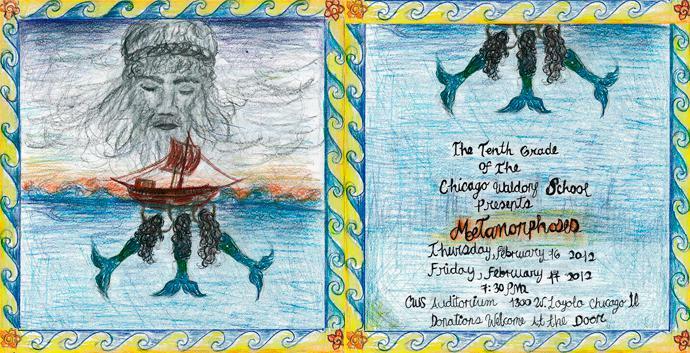 The quest for an operating plan and related metrics to provide a sure guide to sustainable communities and culture has hints of the Holy Grail, a sweet siren’s song just over the next hill, leading us on. Thirty years ago, John Elkington in the UK articulated a triple bottom line requiring evaluation of social, environmental impacts, as well as financial. 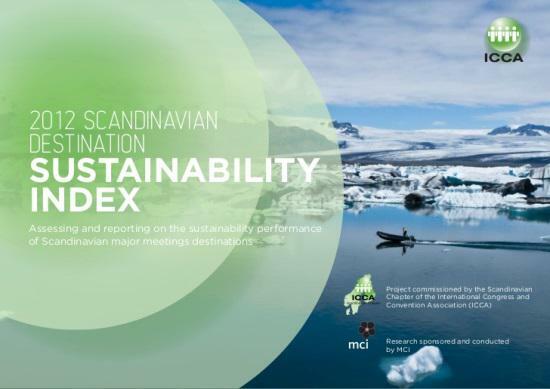 Getting down to the nitty-gritty of the right categories that determine sustainability and community, the relevance of metrics to outcomes, the inter-relation of contributing factors may be a task better assigned to God, but we try. 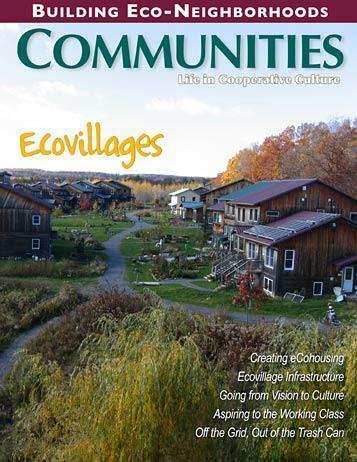 If cities and towns are the proximate ideal units for sustainable community, it’s not surprising that they have taken the lead in trying to define a methodology. In 2007, ICLEI joined with the US Green Buildings Council and the Center for American Progress to create the Star Community Rating System. 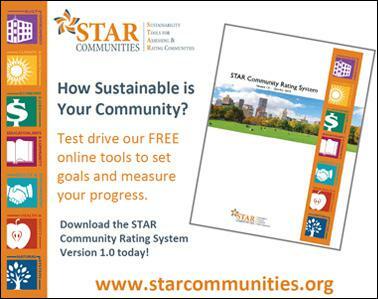 The STAR Community Rating System is both a framework and a certification program. 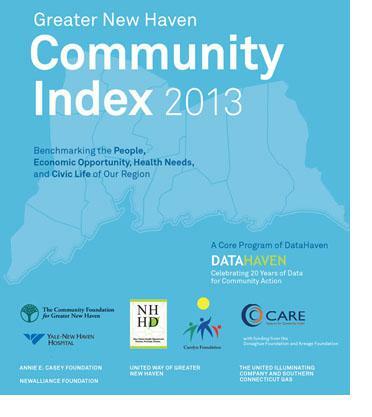 Local governments across the nation are using it as a roadmap, as a planning tool, to organize/guide public engagement processes, to aid in decision-making, for performance-based budgeting, and as a measuring stick to determine whether their investments are achieving outcomes. 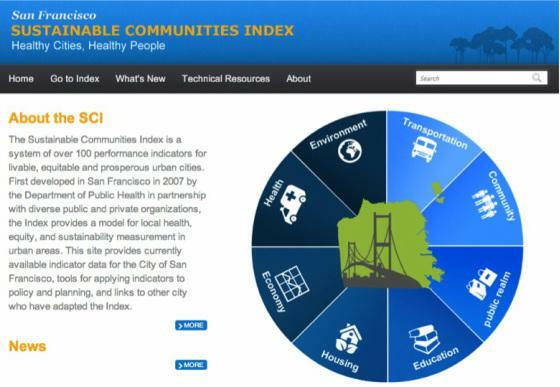 Another of the more intriguing and well thought out tools is the Sustainable Communities Index, originally developed by the City of San Francisco Health Department. It is a system of indicators for livable, equitable and prosperous cities. 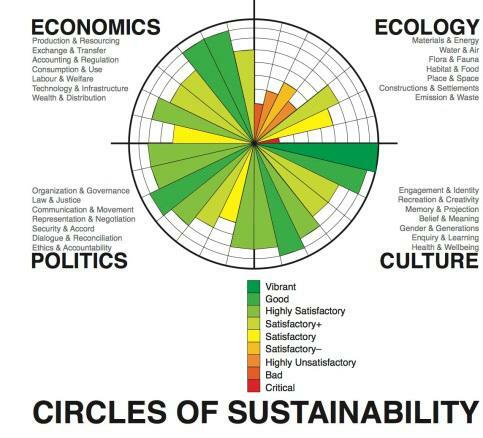 The site (sustainablecommunities.org) provides the methods and data sources required for collecting indicators in a city or region and resources for applying these metrics to planning, policy making and civic engagement. 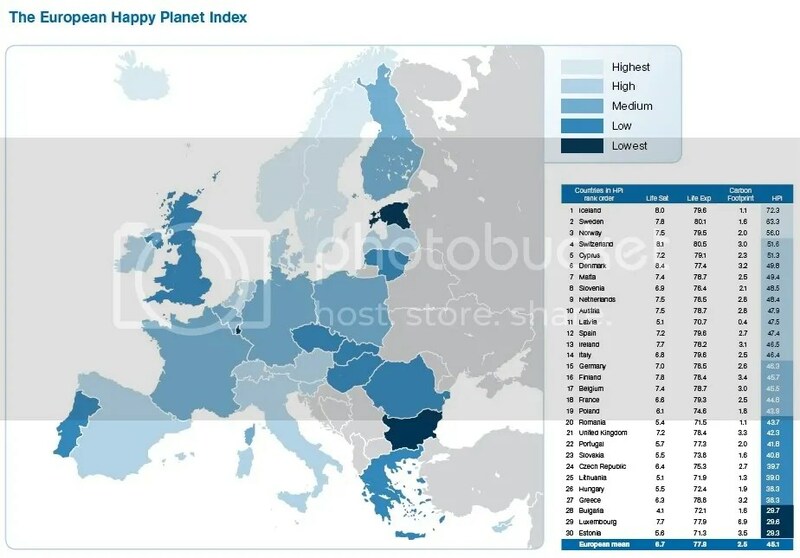 Out of work begun in the ’80s, the Happy Planet Index has been developed by the New Economics Foundation. Perhaps the best we can do is survey the table, trust our honed intuition that the four pillars of Bhutan’s Buddhist Happiness Index (promotion of sustainable development, preservation and promotion of cultural values, conservation of the natural environment, and establishment of good governance) are in place, and keep building better structures around them.